Over six years after the Postal Service’s debut, the music produced by Ben Gibbard and Jimmy Tamborello is still influencing new jacks like Adam Young, who takes the stage name Owl City. 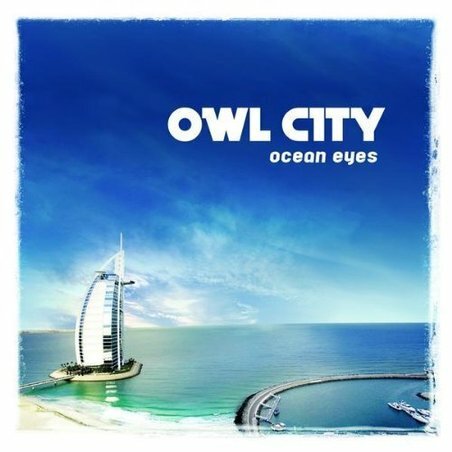 Owl City’s been there, done that album, Ocean Eyes, rips several pages off from Gibbard’s illustrious career as one of indie rock’s most revered songwriters. Yet, instead of challenging listeners, Owl City’s quasi-posi lyricism rests on his ambition to be the Christian version of the Postal Service, which comes off as cheesy and imitative. Well, what else is a lighthouse supposed to do, dummy? The vocoder and Auto-Tune effects used on Young’s voice make him sound like a weird hybrid between Forrest Kline from hellogoodbye, T-Pain, and Roger Troutman… but, y’know… not as good. There’s also the repetition between tracks like “Cave In” and “The Tip of the Iceberg,” which both utilize the same drum loop, as if an intelligent listener wouldn’t be able to distinguish between the two in the 20 minutes that elapses between them. All in all, I found Ocean Eyes to be a bland rip-off of the latter-era works of Ben Gibbard, minus the honesty or literary references. While Death Cab and Postal Service are good bands to take influence from, the fact that Ocean Eyes is a by-the-numbers imitation is downright chilling — not to mention, insulting. But, there’s very little that could be said to deter people from buying this rubbish. It’s just lowest common denominator enough to appeal to the person with the blandest of tastes and who still listens to the Garden State soundtrack five years after the fact.